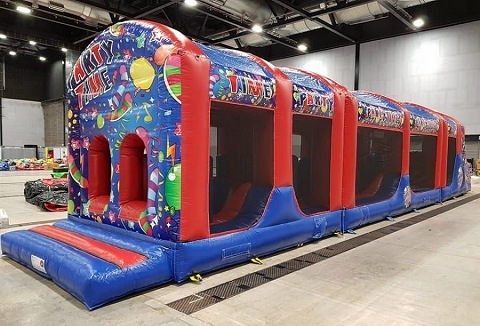 We hire out a range of bouncy castles, rodeo bulls, bungee-runs, sumo suits, inflatable assault courses and many other great amusements and entertainments. Take look through our website to see what we can offer or contact us for further details & prices. 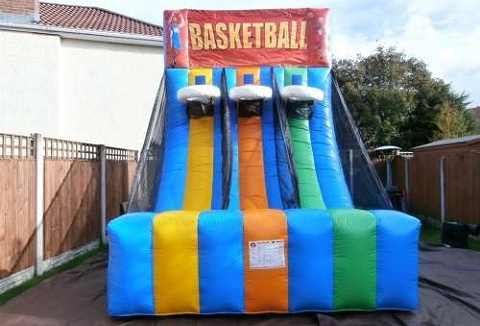 We hire out mega slides and bouncy castles for all types of children's and adult events from birthday parties, school fetes and fundays. 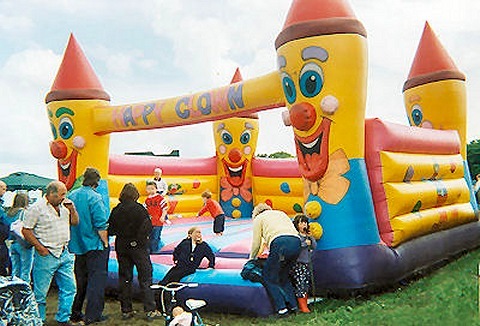 Hire top quality inflatable bouncy castles, inflatable slides all shapes & sizes including gladiator and boxing ring. 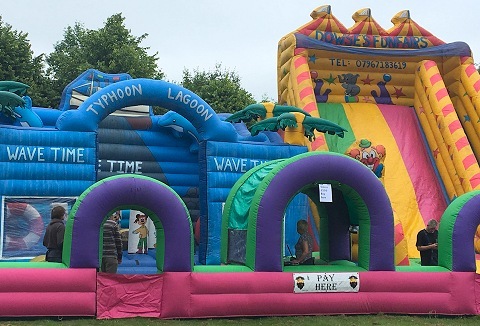 We are a family run hire business who offer a complete range of the latest inflatables games for family fun days, team building and corporate events. 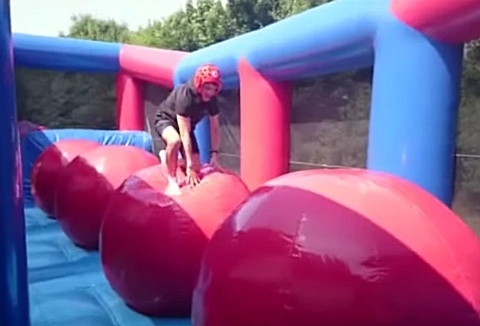 Our range includes bungee-run, super sumos, assault courses to human table football and pillow bash hire. 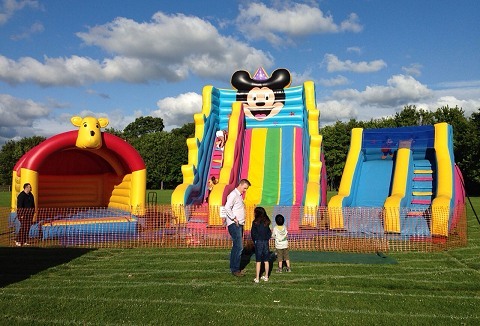 We supply and operate a range of inflatable bouncy castles and activities for outdoor events as well as private hire. Our range of inflatables include derby hoppers race day, laser ships, football, pillow bash, twist and bounce spider mand and bungee run. 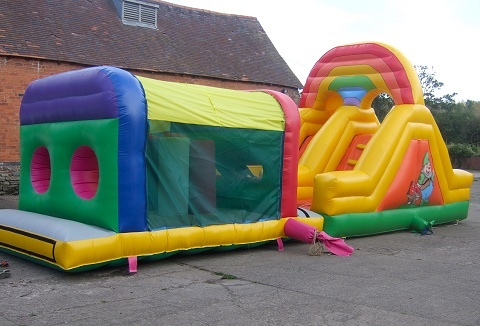 We are a family run amusement hire business that offers a full range of inflatable slides and games; giant inflatable slide and mega slide to inflatable obstacle courses to inflatable sand pit & water boats for all outdoor events short or long term hire. If fun and smiles is what you are looking for then our mega slides and activities games like gladiator basher and sumo suites will keep everyone smiling with fun and laughter. We can cater for fetes, fun days, private functions and corporate fundays. 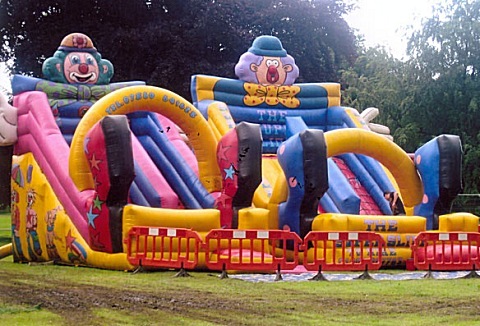 We provide clean commercial bouncy castles & Inflatables for all types of Indoor & outdoor events, all year round. See also our side stalls games, packages, skittle alleys. Use our 24/7 online booking system to check item availability & get price quotes.